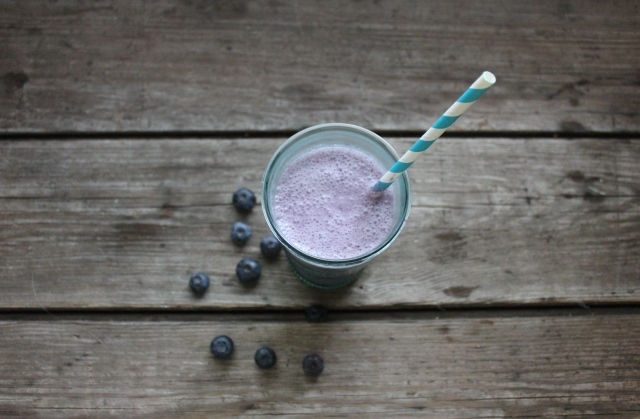 Continuing on my journey through the Healthy Eating calendar I got at Fausto’s in Key West, I’m offering my take on the June recipe: Double Blueberry Shakes. This one took a considerable amount of modifying. The recipe in the calendar called for silken tofu, which I’m not eating right now. It also called for dairy yogurt and then soy milk. Why it used dairy and non-dairy in the same recipe is puzzling. Anywho…I don’t care for soy milk and can’t do dairy yogurt. But that’s not the weirdest part of this recipe. It called for adding whole blueberries, plenty of them, to the milkshake after it was blended. It’s really a sweet smoothie, not thick like a concrete or firm milkshake. It’s a drink-with-a-straw beverage, not thick enough to be spoonable. 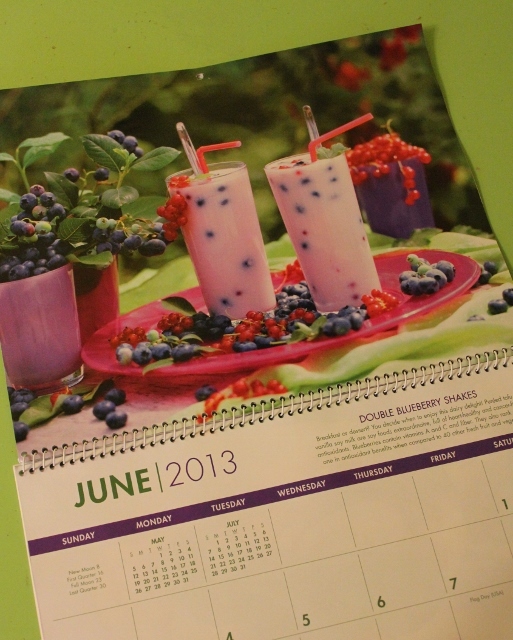 Those blueberries, unless you have one of those fat bubble tea straws, serve as a plug on the end of the straw. So I’ve tossed a few in to pretty up my version, but am not including the hefty amount in the original recipe. Unlike most smoothies I make, I didn’t put any greens in this one. So it hasn’t been added to our breakfast rotation, but instead it’s a dessert. A mighty yummy one, I might add. Enjoy! 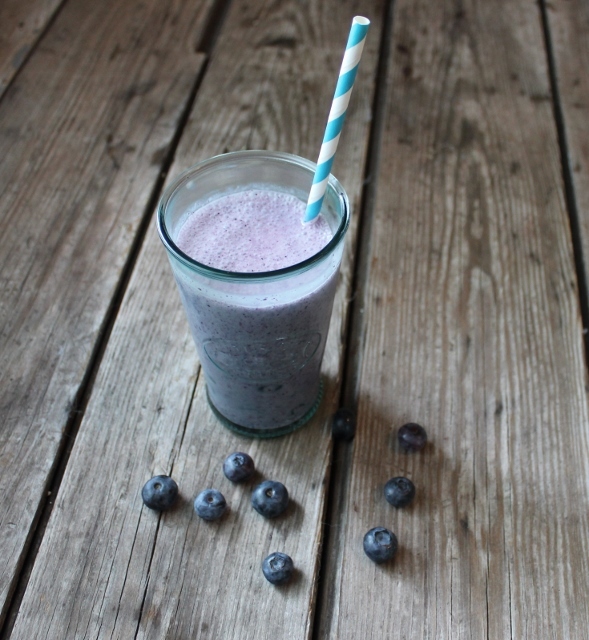 Blend all ingredients, except fresh blueberries, in high speed blender until smooth. Serve in 4 glasses. Garnish with fresh blueberries.